Rigoberto Uran has on two different occasions, come really close to winning the Giro d’Italia. However, this time around he would be skipping the familiar roads of Italy and make a return to the Tour de France this summer for no more than the fourth time in his decade-long career. With his return to the Tour, a space would be opening up for him to make a return to the favorable hilly terrain of the Ardennes for the first time since 2013. The veteran Colombian who spoke recently noted that a lot was being changed and this year, he and the team would be trying something different. “We are changing a lot,” Urán said. 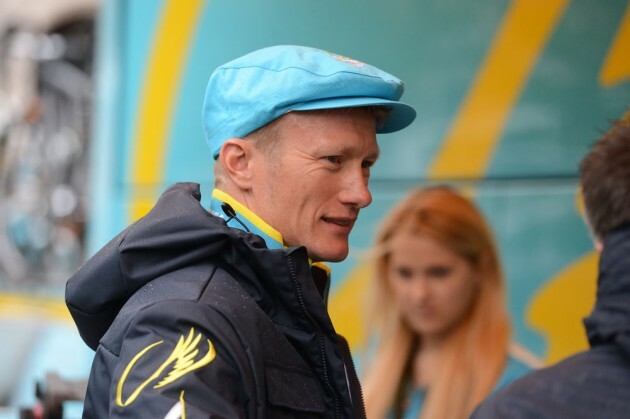 The former 2012 Olympic gold medalist of Kazhakastan and the current General Manger of the Astana Pro Team, Alexander Vinokourov, is very happy that the three Kazakh riders have resigned their contract with the team. The U223 champion Alexey Lutensko has signed a two year contract with the team and Vinokourov is seeing this youngster as the future of Kazakhstan cycling. He has joined the Astana team in 2013 and has made an impression in everyone’s mind by winning a few stages of the Tour of Denmark in 2014, Tour of Switzerland in 2015 and Paris Nice Stage in 2016. The manager is encouraging Alexey to be a strong rider and a team man and believes that there are lots in store for the future. Daniil Fominykh has also extended his contract with Astana team for one year. He has been part of the team since 2014. Vinokourov is very happy for him and is one rider who can give his best for the team and also bring out some good personal results. Vinokourov says that the progressive driver can easily adjust to the team and play the game according to the needs of the team. If you have caught images of the latest custom made bike of Alexander Vinokourov you will admit that it is an extravagant piece that is one of a kind.